"I am a Princess. A Warrior among Warriors. The Commander of an Army. I never wanted to be a Rebel. But I can no longer ignore the madness of the Ones who rule me and my kin. So I will rise against them. To defend those I want to protect. To carve out another future for both Immortals and Mankind. They call me the Red Queen." 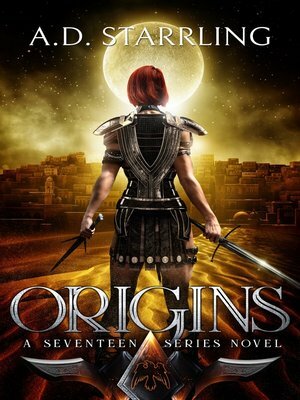 Origins is the compelling fifth installment and genesis story of AD Starrling's bestselling supernatural thriller series Seventeen. If you like high-octane adventures that combine science and fantasy, then you'll love the world of Seventeen.